Fiction workshop with Laura Hird based on creating characters, backstory and developing plot through those characters. Ideal for new writers as well as those with work in progress. 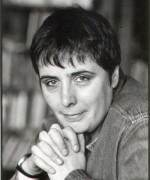 Laura Hird is the award-winning author of the collections, Nail and Other Stories (Canongate, 1997) and Hope and Other Urban Tales (Canongate, 2006) and novel, Born Free (Canongate 2007) which was nominated for the Whitbread and Orange Prizes. Her short stories have been published in numerous magazines and anthologies internationally and her work translated into a number of European languages. A book based around her mother's letters, Dear Laura was published by Canongate in March 2007. Laura runs and edits her own loosely arts-related website www.laurahird.com on which she seeks out and publishes new poetry, short stories, reviews and interviews.